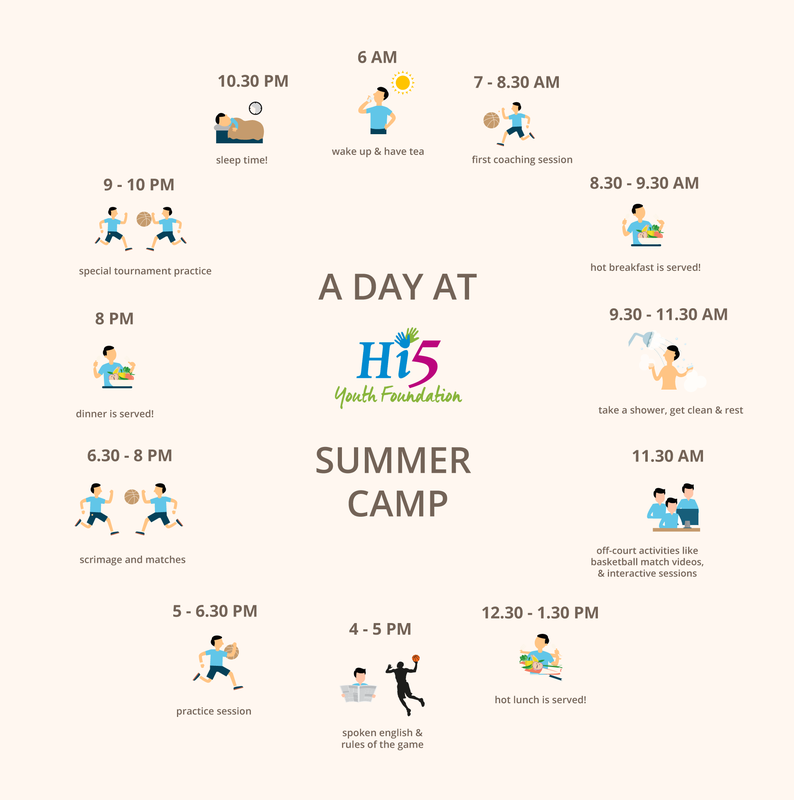 A residential program for students across all the centres, Summer Slam is the epitome of basketball training at Hi5! Summer Slam is an interval program between the academic year for students when they have summer vacations. Students, both boys and girls, attend this summer camp at Sri Gadge Maharaj School in Vajreshwari for period of two weeks, taught and trained by selected coaches. It’s an intense residential program that allows students from different centers to interact with one another, learn from each other and have crazy amount of fun along the way! Summer Slam allows students to stay in touch with the game during their academic summer break and eventual monsoon hiatus. This programs helps maintain their continuity in the game. The intensity of the residential program also prepares them better and makes them ready for competitions. Students at the Summer Slam come to the residential school in batches of boys and girls for about two weeks each. In April-May 2017, we’re expecting three batches of 87 girls, 71 boys and 70 boys. This camp is FREE of cost for the students, where they’re provided with lodging in a residential dorm and meals throughout the day. Hi5 Youth Foundation has built a highly functional basketball stadium at the Vajreshwari campus with flood lights so that the students can practice well into the night. Their training not only involves on-court activities but also extends to watching basketball match videos in the AV room, attending spoken english classes for all students, as well as separate sessions on understanding the rules of game. Practice matches happen every two hours on rotation for different teams and go on up to 11 30 pm in the night. Currently, there are 6 coaches and 2 coordinators per two week program. Success is peace of mind, which is a direct result of self-satisfaction in knowing you made the effort to become the best of which you are capable.